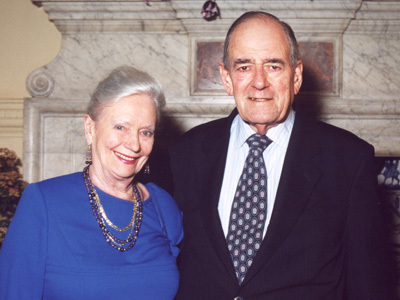 Lord Flowers was appointed Rector of Imperial in 1973 and held the post until 1985. In 1979 he was made a life peer as Lord Flowers of Queen’s Gate. He became Chairman of the Committee of Vice Chancellors and Principals in 1983–85 and Vice Chancellor of the University of London, 1985–90. He was a founder member of the Social Democratic Party. I shot this video on 17 May 2006. It was used the following year as part of the Imperial College Centenary Celebrations. Small extracts were only ever used at the time, amounting to about 6 minutes in total. This, the full version, runs for 40 minutes and has never been seen before. Both Lord and Lady Flowers speak about their rolls in college life. Anne Barrett from the college archives spoke to them both in the council room at 170 Queen’s Gate. Eleven years ago it was all over and yet another piece of archive. 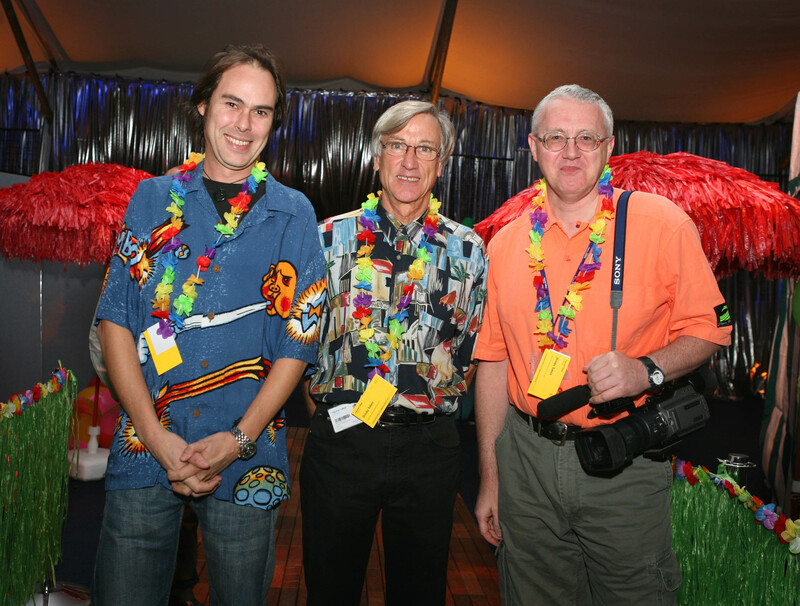 It’s hard to believe that the Imperial College Centenary was all those years ago, during the whole of 2007. At the end of that year, Sir Richard Sykes then the college Rector (seen on the right when the Queen visited in 2007), gave his summary of how things went. We shot this video in the Rector’s office in the Faculty Building. Incidentally, Richard was a dab-hand at reading from Autocue and that always made our job so much easier and quicker too. Hannah Gay, who wrote the official college history, also talks about the task of creating the 900 page book. 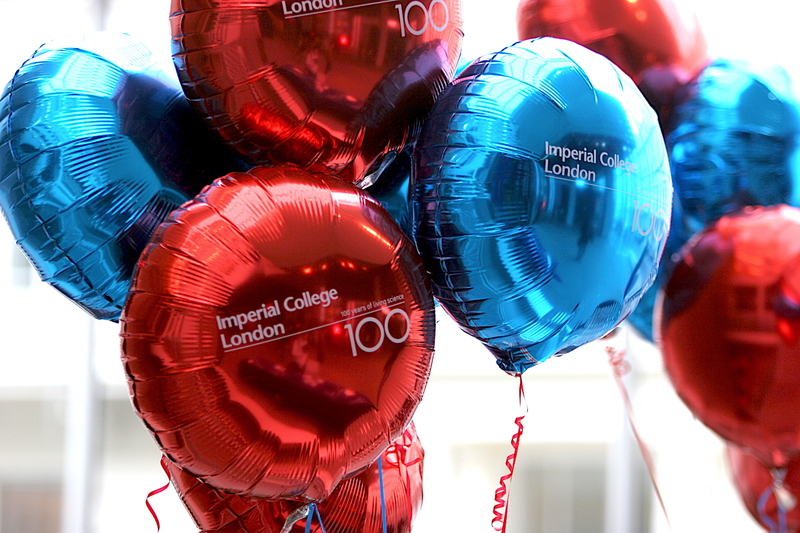 Today marks ten years since the Imperial College Centenary Ceremony. If you click on the link in the previous sentence you can see the special page that was created with many memories contributed by past & present staff & students. See if you can spot my contribution too. But can you really believe it’s ten years since all the fun and games that marked the centenary of Imperial College from 1907-2007? The overall one-year celebration period was entitled “100 years of living science“. What you will see below are videos from that celebration period. However, in a previous blog I included the celebrations for Imperial’s 50th Anniversary Jubilee in 1957. Things kicked off in the Great Hall on 30th January 2007 with the Rector Sir Richard Sykes giving his centenary launch lecture. The highlight of the year was on 9th July 2007 when HM Queen attended the centenary ceremony in the college main entrance. We covered the event with three cameras running on wireless links to avoid any cables. This also enabled us to get shots from the pavement when Her Majesty, along with HRH Prince Philip, arrived and departed, in the royal car. You’ll see the latter at the end of the video. The whole ceremony was also relayed via a web-stream around the World, one of the earliest we had done. One of the cameramen got a lovely shot when the Queen was signing the visitors book just before her departure. Like many of these events you can plan well ahead, but at the time it happens you’ve not really had a rehearsal. As I always say about this type of event, you can’t ask the Queen to do a run-through and camera rehearsal for you! So, it’s nice when you can get some great unexpected shots as you’ll see in the video. Please note that unlike BBC broadcasts of such events, there is no added commentary. A few days after the centenary ceremony a college-wide/campuses-wide staff party was held. On 11th July 2007 a party was held like nothing Imperial had ever seen, or has seen since for that matter. We covered that party during the entire time, as you’ll see in the video below, which was presented by Darren Queralt. With the recent announcement from Buckingham Palace that Prince Philip will no longer carry out public engagements from this autumn 2017, I thought I’d look back at two visits by him. Strictly speaking, the first one is not an actual visit to the campus but rather to the 1985 City and Guilds Centenary dinner held at the Guild Hall in London. He was the special guest and main speaker at the dinner and this was what he said. During the Imperial College 2007 Centenary Celebrations a ceremony was held in the main entrance. The college conferred on Prince Philip the Degree of Doctor of Science. Lord Kerr was, at the time, Chairman of the Court and Council, the Rector was Sir Richard Sykes.